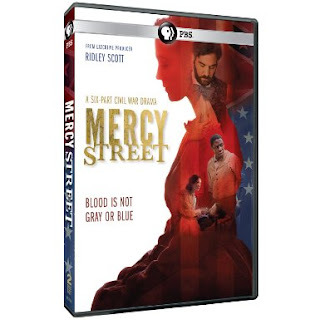 Mercy Street, a Public Broadcasting System six part series delves into the medical and social issues that medical professionals and their patients endured during our nation's most deadly war. Acclaimed director Ridley Scott and writer David Zabel of "E.R." fame are among the show's executive producers. The "Mercy Street" premiered on Jan. 17 garnered more than 3.3 million viewers and new episodes air each Sunday through Feb. 21. It's largely based on the memoirs and letters written by doctors and nurses who treated patients during the Civil War at the Mansion House Hospital in Alexandria, Virginia. Dr. Stanley Burns, a medical historian who consulted PBS on the television series, talks to Healthline about the traumatic and sometimes barbaric conditions on Civil War battlefields. By using actual medical conditions, instruments, medical practices, and theories of the time — often in vivid detail — the series provides viewers with a realistic snapshot of exactly how traumatic and comparably barbaric treatment was for both patients and doctors during this period. Much of the raw authenticity that permeates throughout each episode is derived from the insights and voluminous research and photo library of Dr. Stanley Burns, a New York City ophthalmologist, surgeon, historian, and professor who, in his spare time, became the world's leading curator and collector of historical medical images. 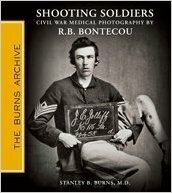 Burns, who served as a medical and historical consultant on the series, has written 45 books, published more than 1,100 articles and collected in excess of 1 million images documenting centuries of medical history around the globe. His research and collection has been featured at the Metropolitan Museum of Art, in at least 27 feature films including Nicole Kidman's "The Others" and was used as the foundation for more than 100 documentaries and television series. Burns, 77, began collecting medical images in 1975. More than 1,000 of his images are currently on display at various museums around the world, but his 19-room townhouse and several bank vaults are still home to the vast majority of his one-of-a-kind collection. Between his nonstop curating and preparation for yet another book, Burns spoke with Healthline about "Mercy Street," the daunting challenges of providing care during the Civil War, and just how important a single image can be to the evolution of medicine. Healthline: Compared to other medical dramas in recent years, what's new and most compelling about "Mercy Street?" Dr. Stanley Burns: Every medical show has its own specific focus. This one is on the Civil War and focuses just as much on the social aspects of the war as the medical aspects. Unlike a lot of the more discussed time periods in history that had all these great medical discoveries and inventions, there were no real new discoveries during the Civil War. But it was the most important time of social change in American history until the 1960s. H: Tell us a little bit about what it was like to practice medicine during the Civil War. What were some of the most serious and common medical conditions doctors and patients faced at this time? Burns: Death. Death and disease. It's estimated that of the approximately 750,000 Americans who died during the Civil War, about two-thirds or 500,000 people died because of disease and infection, not from bullets or saber wounds. We would never expect that today because we're now well acquainted with the theories of disease and understand the importance of sanitation. Not the case back then. These soldiers and others died from dysentery, pneumonia, and typhoid fever at a staggering rate. That's something that wouldn't and doesn't happen today. Many of these soldiers came from farms and small towns. They were then cramped in tight quarters and instantly exposed to all kinds of bacteria their bodies had never encountered. H: "Mercy Street" graphically depicts the commonality of amputations and gangrene during the Civil War as well as the administration of mercury chloride, opiates, and arsenic to treat wounded and sick patients. Was this just standard operating procedure in the 1860s? Burns: You have to understand this was at the end of the Heroic Era of medicine. These were old-school doctors in the army — most had limited training or education and an even smaller number who had actually performed surgery — who had no compunction about giving patients doses of mercury [calomel] until their jaws literally fell off. The prevailing theory of the time was to prescribe medications and treatments that would create the opposite of the affliction's symptoms. That's why doctors bled people or gave them compounds to make them sweat or vomit. Addiction was also major problem in the 19th century. You also have to understand that seriously wounded soldiers at Bull Run, for example, would lay on the battlefield for three or more days with no food or water before anyone could get to them. H: What, if anything, were doctors and nurses proficient at during the Civil War? Burns: Doctors and nurses in the Civil War period were just as smart and innovative and determined as they are today. They were just working with inferior knowledge and technology. But they were, because they had to be, very good at amputations. Amputation got a bad reputation in the 1880s, but it saved lives. A good Civil War surgeon could amputate a limb in less than three minutes. Patients who had a body part amputated within 48 hours had a mortality rate of 26.3 percent. For amputations that occurred after more than 48 hours, that mortality rate more than doubled. There are also a lot of misconceptions about anesthesia, that patients in this era were undergoing surgery and amputations without anesthesia. It's not true. Anesthesia was used in about 80,000 instances by Union doctors and about 50,000 times by Confederate doctors. H: "Mercy Street" features two women who served as nurses at the hospital as well as some African-American characters. Does the series accurately depict the diversity of medical professionals in this period? Burns: Yes. The necessity of the conflict required everyone's help. Nursing was a miracle for women in that it provided them with an opportunity to enter into a profession and made it acceptable for a woman to go out and work. The war needed as many nurses as possible. There were [so-called] contraband blacks and some free blacks who performed amazing work during this time, but generally they didn't play a big role in military hospitals. The amount of prejudice was amazing, even in New York City. H: If there's one takeaway that today's physicians and patients should derive from your research and photographs, what would it be? Burns: What I've learned after 60 years is the same as what I was told the first week of medical school. Fifty percent of what you're about to learn may not be true in 10 years or maybe even in a year. Medicine is constantly evolving and what we think of as dogma or truth will almost certainly change over time. H: You've collected more than 1 million historical medical images. It's a lifetime of work. Why is any one old photograph so important to medicine? Burns: An untouched photo is irrevocable evidence of what really happened. When you write something up or tell a story, you sometimes don't have the words to describe what you're looking at. Any description is not as good as a photograph. It provides a realistic, unquestioned document of the events and people of the time.